Range Rover introduced the $200,000 SV Autobiography at LA auto show. LOS ANGELES -- Despite seemingly unlimited demand for ultra-high-end SUVs that's prompting a raft of new models from brands such as Bentley, Mercedes-Benz, Lamborghini, Aston Martin and even Ferrari, Range Rover sees a ceiling. Land Rover's upscale subbrand — which was one of the first brands in the industry to tip SUVs into the luxury realm decades ago — has no plans to introduce a nameplate on top of the Range Rover. "It would strategically be the wrong thing," Joe Eberhardt, CEO of Jaguar Land Rover North America, told Automotive News on the sidelines of the auto show here. "That car defines the Land Rover brand and the Range Rover family; it is really the epitome of that line, and to dethrone that would not be the right move." Eberhardt's comments came on the heels of Range Rover introducing the SV Autobiography at the auto show. 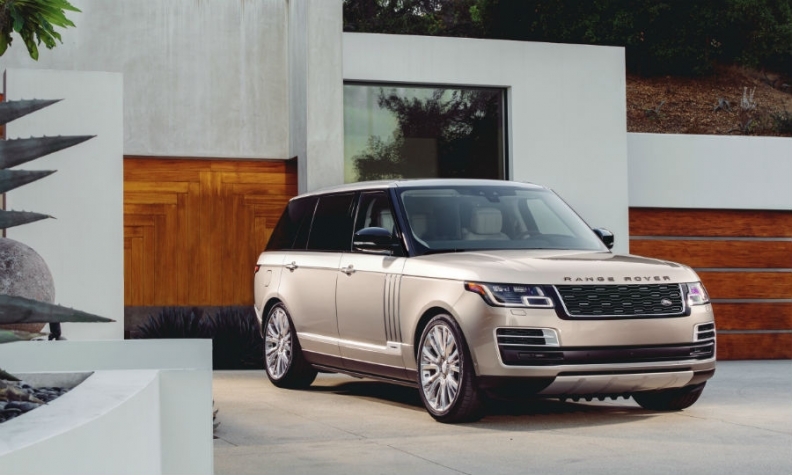 This latest iteration of the Range Rover line is the first to eclipse the $200,000 mark and comes with amenities including 4 extra feet of rear legroom, 10 touch screens and power-closing rear doors. Adding something on top of this new Range Rover line would only dilute the considerable equity the name has in it, Eberhardt said. He likened such a move to what Mercedes-Benz tried last decade with its first-generation Maybach line of ultraluxury sedans. "That never worked for a whole number of reasons, but one of them was, what does that say about the S class?" Eberhardt said. "And they have — from my perspective — fixed that now by saying, 'Well, within the S class there's actually the highest execution of it that happens to be called Maybach that doesn't sit on top of the S class; it's an extension of it.' "
The brand does plan to continue down the path of new and bespoke iterations of the Range Rover that stretch its luxury trappings and price range, without launching a separate model line, Eberhardt said.